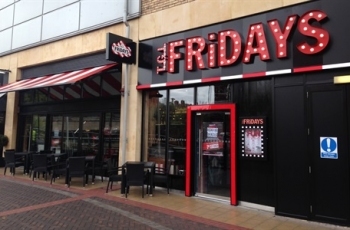 TGI Friday's Reading Oracle is an award-winning restaurant, home to legendary food and drink. Fresh ingredients are used to craft a huge burger range, from the Bruce Lee, to the French dip, and favourite signature dishes include Jack Daniel's double-glazed ribs, chicken finger BLT and a juicy 8oz sirloin. At Friday’s, there is a long history behind the bar and a menu that spans over 500 cocktails. Even the timeless classic , “Long Island Iced Tea”, was born here. No wonder the good times just keep rolling at Friday’s! From the signature loaded skins to their legendary Jack Daniels sauce, they take real American flavors and make them different. These undeniably tasty and original flavors are at the heart of everything they do with the unique and extensive menu.